I first applied for the Powerbar Team Elite in 2007, and in 2008 was awarded the Powerbar Duathlete of the Year Award for the MUDS series . This award came with 1 year sponsorship contract as a Team Elite in 2009 . And hence the sponsorship for my first Ironman race in Langkawi February last year. My 1 year contract ended 31st December 2009. 2 days ago I got a miss call from an unknown number. I called back just to find that the call was from Powerbar ! 🙂 They’re inviting me for an interview this Friday for selection for the Team Elite 2010/2011 intake, a 2 year sponsorship program by Powerbar. I’ve been encouraging friends to apply, especially those who have interest and potential in sports performance, and in promoting Powerbar as a sport nutrition brand. Gotta know Kevin Siah (Karen Siah’s brother) who smacked everyone ar*es last February with his whooping time of 11:15:20 , and the 4th Malaysian to cross the finish line after Hafiz Wong(10:20:20), Abdul Rahman(10:41:11) and Paul Lim Su Sang (11:01:32), is also shortlisted for the interview. Kev is currently based in Perth. I hope a video/phone interview can be arranged for him. I am not sure who else is shortlisted for the interview. Watch this space. I will definitely update. The Trikidz/ YEAT people : Major Kalam, Hairul Azwar, Stephanie Chok, Nor Juliana Ali, Azhar. JeweLz and Kash @ IM70.3 Putrajaya 2009.
mj is looking forward for a better year this year. I am currently in a positive mood and motivated and will maintain this throughout this year- in all senses possible. ian : errr..sell urself perhaps during the interview? 🙂 there’s a reason why you’re shortlisted 😛 hihihihi…. *blush* My picture there so big! Would be tough to maintain the same position at Langkawi IM this year, well I can only do my best and get a PB. How others fare is beyond my control. kev : my honour to upload ur pic here.. curi d foto..hope u dont mind 🙂 so, have they interviewed u ? call/video ? My name is Kieron Brodie and I would like to ask if you could help me out. A quick summary of my background would be that I am a home grown skateboarder (Malaysia) of mixed parentage and have been skating for 16years. I have just reasently been excepted as a skateboarder with sufficient skill to film with skaters who ride on an international level. I have also been competing in regional and international competitions through out the past 7 years or more. Do you think you could introduce me to a person, in PowerBar, who I can talk to about sponsorship toward financing my travels to American competitions and filmers? Kindly Google my name to get a clearer picture. Hi Kieron. Sure, I can refer you to someone from Powerbar Malaysia. 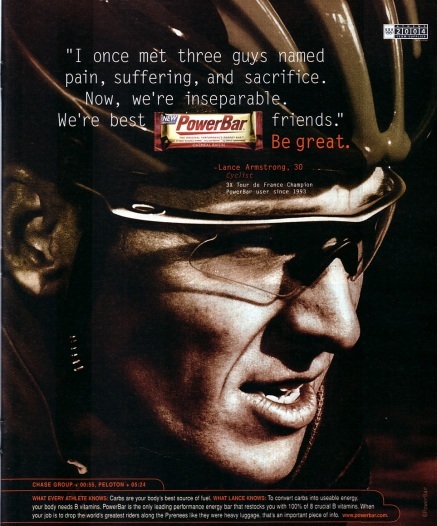 In fact the person that I will refer you to is the Powerbar Business Development Manager. you can talk directly to him aight.